Creative Choice Group and founder Dilip Barot have launched sales for the Amrit Ocean Resort & Residences, a condo, hotel and spa project on Singer Island. 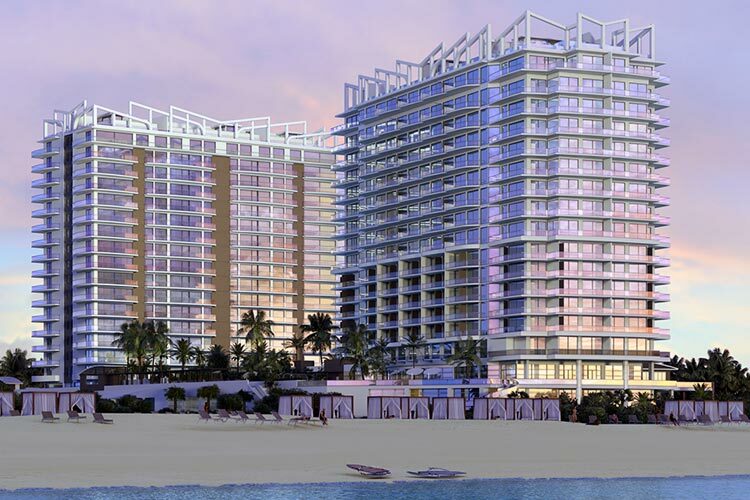 The developer is restarting the project on the 7.1-acre beachfront site at 3100 N. Ocean Drive. Barot’s company returned deposits to pre-sale buyers for a condo project on the site a decade ago, as the real estate market crashed. He’s continued to control the site through a trust in the name of Pandua Dinesh and, in 2015, received approval for a new development plan by Riviera Beach officials. According to a spokeswoman for Creative Choice Group, the developer broke ground in spring 2017 and is currently pouring foundation piles on the site. The onsite sales gallery should be completed in September. The Amrit Ocean Resort & Residences will have two towers: Tower P (Peace) and Tower H (Happiness). They will have a mix of 351 condos and hotel rooms, with the exact mix to be determined later. Prices range from $700,000 to over $4 million. Each resident will have a custom-designed wellness plan. The developer is asking for 30 percent deposits, with 10 percent at signing, another 10 percent at foundation pour and another 10 percent at topping off. Atithi LLC and Crescent Hotels were hired to manage the hotel, the developer said. The 100,000-square-foot indoor and outdoor spa and wellness center was designed in collaboration with ESPA. Other amenities would include an oceanfront restaurant, a meditation garden, yoga studios, two fire bowls with overflowing water, a moon gate symbolizing arrival into a new world, a whirlpool spa, pools at each towers and a private beach club. The project was designed by S&E Architects with Bilkey Llinas Design as the interior designer. Creative Choice Group said the project will be completed in summer/fall 2019.